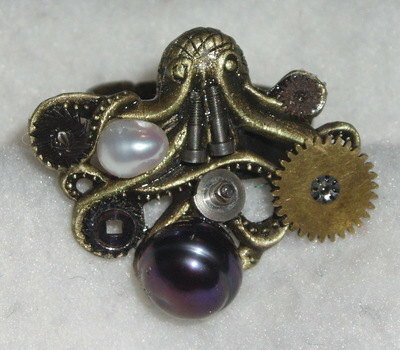 This is a totally Unique and Original Brass Octopus with antique watch parts and freshwater pearls on an adjustable brass band. Really unusual and will certainly get noticed. Each ring is unique so will not look exactly like the photo.